George Palikaras, Founder and CEO of MTI (left) shaking hands with Boris Kobrin, Founder and CEO Rolith Inc.
Metamaterial Technologies Inc. (MTI), a global leader in smart materials and photonics headquartered in Canada announced today, that it has acquired Rolith’s business, including its proprietary manufacturing technology, Rolling Mask Lithography (RML®) and its NanoWeb® products. Rolith is a Silicon Valley based nanofabrication company. The deal includes intellectual property, proprietary tools and state of the art research and development facilities specific to Rolith’s large surface area lithography platform as well as the company’s key employees. This deal will accelerate MTI’s ability to develop large-scale optical metamaterial products for aerospace, defense, healthcare and energy markets. This acquisition is indicative of MTI’s commitment to innovation, which centers on making the next generation of smart, multifunctional materials that will change the way we use, interact and benefit from light. “Rolith’s existing business line and RML® technology will complement MTI’s capabilities and extend its market offerings. This acquisition will establish the company as a forerunner in the industry and will enhance the company’s future growth and performance,” said Maurice Guitton, MTI’s board chairman. Rolith was founded in 2008 by Dr. Boris Kobrin, Julian Zegelman and Prof. Mark Brongersma from Stanford University. “We are all excited to be joining MTI and its talented team. 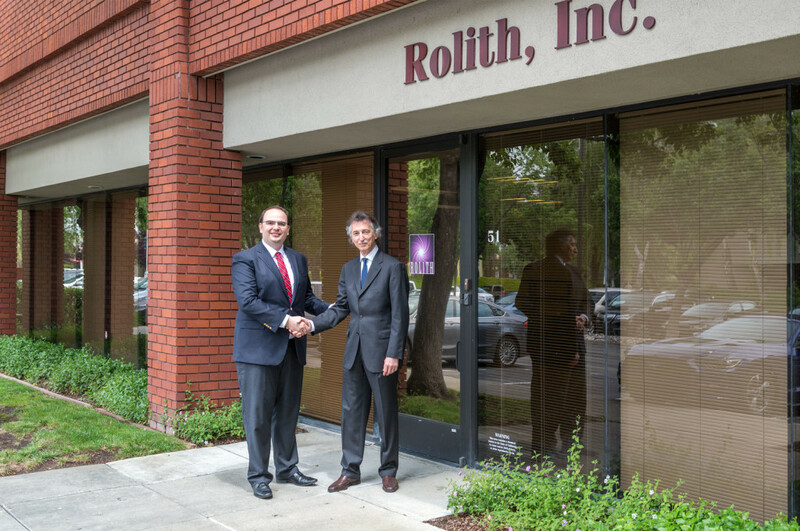 MTI is now well-positioned to be a leader in the commercialization of metamaterial optical products,” said Boris Kobrin, founder and chief executive officer of Rolith. MTI’s platform technology is gaining international attention for its ability to manipulate light in unprecedented ways. In 2014, MTI signed a partnership agreement with Airbus to test and tailor its award winning technology Lamda Guard metaAIRTM, as a solution to protect a pilot’s vision by blocking and deflecting intense laser strikes.